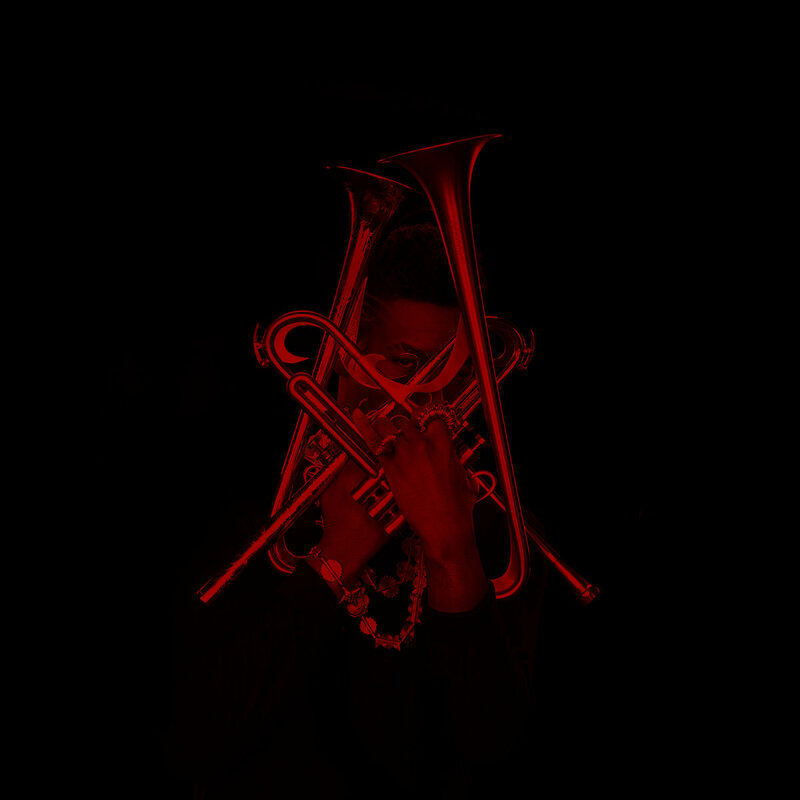 Christian Scott aTunde Adjuah holds nothing back and fusing his own "Stretch Music" with modern Trap styling, West African rhythms and New Orleans Indian flair; this is concurrently an experimental and historical effort. For the final piece of his trilogy CSaTA bridges the gap of the first two releases, synthesizing his playing, writing producing into a whole. Where Diaspora was reserved and Ruler Rebel adventurous, the combination of his ultimate stretch style is aimed for on The Emancipation Procrastination, the final result hits that target often. The title track announces that direction, but it is the following "AvengHer" where things fully coalesce. While on other tracks of the Centennial Trilogy guests have shone, "AvengHer" is CSaTA's jam through and through. While Marcus Gillmore (Drums, SPD- SX) and Weedie Braimah (Djembe, Bata, Congas) do play on the track it is the engaging sonic structure of Adjuah that overwhelms. Trap beats, eerie warbling bells, sounds out of a horror movie, yet somehow all groovy and encompassing; the darkness is warm and welcoming. Skittering is not limited to the drums as Elena Pinderhughes flute closes out the evocative "Ruler Rebel" [Remix]" with bouncing melody while the Alto Sax of Braxton Cook cools out "Ashes of Our Forever" and the rhythmic African drums drive "In The Beginning". All the tracks are graceful yet full of power and promise. The stretch style bubbles through the brief "Michele with one l" while the hip hop beats and running piano shine brighter than the smooth horns on "The Cypher". "Videotape" dips a little bit too deep into the smooth jazz realm for these ears but the quick and angular "Gerrymandering Game" perks things up before "Unrigging November" highlights all of Adjuah's skills with gorgeous runs and dynamite rhythms. The album concludes with two elongated passages "Cages" and "New Heroes". The nine plus minutes of "Cages" has a free jazz appeal that reminds of the late 50's early 60's classics (featuring the Tenor Sax of Stephen J. Gladney) and will speak to more jazz traditionalists while closer "New Heroes" ends The Emancipation Procrastination with confident phrasing, unique drumming and trumpet blowing that proclaims Scott has arrived. Christian Scott aTunde Adjuah has crafted a masterful trilogy which contains something for any fan of adventurous music. With the recent rise in popularity of artists like Kasami Washington onto the national stage, modern jazz is experiencing a rebirth and CSaTA is right at the forefront with this inspiring trilogy. RtBE has done Jazzy January for a few years now and without a doubt our favorite find was back in 2016 when we first heard Stretch Music from Christian Scott who quickly added aTunde Adjuah to his name. It is actually one of the reasons we continue to do this focus every year, hoping to find an amazing artist like this. This week (after our MLK salute) is dedicated to CSaTA with reviews of his The Centennial Trilogy and a Full Show Friday celebrating the artist and his collaborators.